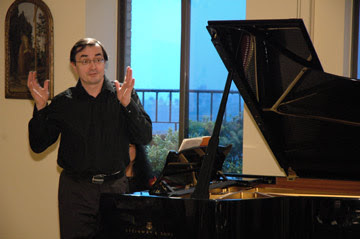 Pierre-Laurent Aimard has an international reputation not only as a great performer but also as a programmer of real invention. He will give three performances at the 2008 Aldeburgh Festival: as soloist/director with the Britten Sinfonia on Saturday June 14th, in recital on Friday June 20th, and performing chamber music with Tabea Zimmermann and Martin Fröst on Sunday June 22nd. All three concerts will feature works by György Kurtág, composer in residence for the 2008 Aldeburgh Festival. Other international curatorial projects led by Pierre-Laurent which form a backdrop to his new role in Aldeburgh include artiste etoile at the Lucerne Festival (2007); Pianist in Residence at the Berlin Philharmonic Orchestra (2006-07); Domaine Privé at the Cité de la Musique (Spring 2008), Carte Blanche at the Vienna Konzerthaus (2006-07), his own Perspectives series for Carnegie Hall (2006-07); and Artistic Directorship of Southbank Centre’s 2008 Messiaen festival. Jonathan Reekie, Chief Executive of Aldeburgh Music said: "After an inspirational ten years with Thomas Adès at the helm, in our search for a replacement we were looking for an outstanding, original musician and programmer, who would both respect the Aldeburgh traditions but also stamp their mark on the Festival. In Pierre-Laurent Aimard we have all those qualities, rare in one person - a brilliant performer with a flair for creating concerts and Festivals. His performances here have been the talk of recent Aldeburgh Festivals and we are very much looking forward to working with him." The 2008 Aldeburgh Festival, Thomas Adès’ tenth festival as Artistic Director, opens on Friday 13th June with a new opera commissioned from Yannis Kyriakides. During the festival Adès will conduct BCMG (Sunday June 15th) and two days later, with Steven Isserlis, will give the premiere of work that he has written for Isserlis. Associate Director of the festival, composer John Woolrich, will remain in this role, working alongside Pierre-Laurent Aimard.